You can find the video recording from the webinar here and presentation PDF here. Please note that similar questions have been combined and summarized. On December 2, the California Air Resources Board held a public input workshop to discuss The Zero-Emission Vehicle (ZEV) Investment Commitment. Bill Elrick attended the meeting and presented a statement that the highest priority for hydrogen and FCEVs is to increase the number of stations in the state at a faster pace. 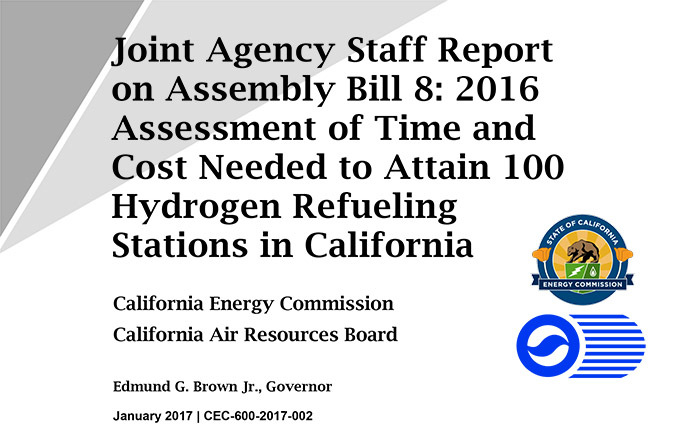 In addition to CaFCP’s comments, other stakeholders highlighted the need for hydrogen investment. The members of the California Fuel Cell Partnership prepared the Medium-Duty and Heavy-Duty Fuel Cell Vehicle Action Plan for California to accelerate the development and commercialization of medium-and heavy-duty FCEVs in California. 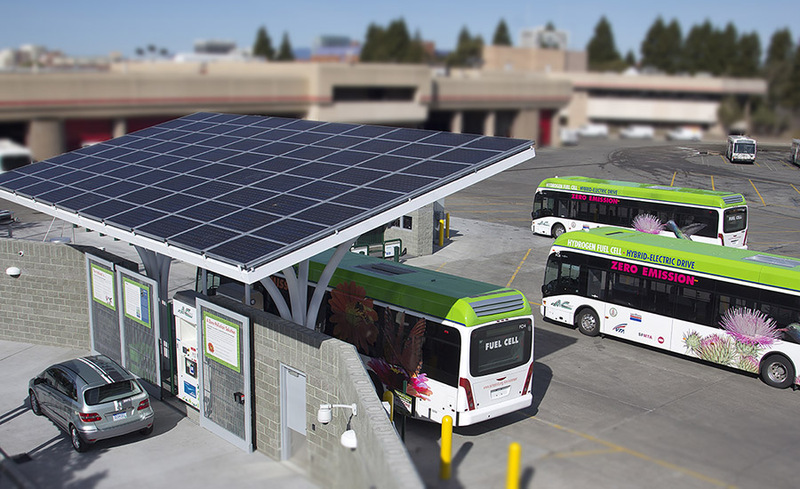 Federal air quality targets, AB 32 GHG reduction targets, and State’s transport electrification targets, combined with the goals of the California Sustainable Freight Action Plan, make California a favorable place to launch zero-emission medium- and heavy-duty transportation technologies. DOE’s Hydrogen and Fuel Cell Technical Advisory Committee annual report highlights worldwide advances and challenges with regard to hydrogen and fuel cell commercialization, policy, regulations, standardization, financial climate, and research and development. Released in mid-2016, the report states that hydrogen and fuel cell technologies continued to advance steadily during 2015. More than 60 stakeholders celebrated the opening of the Santa Barbara hydrogen station last Friday, May 13 with a ribbon cutting and displays of fuel cell cars from Honda, Hyundai, Mercedes-Benz and Toyota. The True Zero hydrogen station is co-funded by the California Energy Commission and is one of more than 40 that are expected to be online by the end of 2016. Like many of California’s hydrogen stations, it is based at a local gasoline station, Conserv Fuel.